Literacy doesn’t just refer to be ability to read anymore. It refers to the ability to understand and communicate through various mediums, such as: email, phone, blogs, texts, tweets etc. Having an understanding on how something works is possibly more important than actually being able to do the work yourself. Understanding where we are means understanding where we came from, looking through a capsule of time between generations and what was needed in each education system and how instill it. Baby Boomers: those born between 1944 and 1964. Have watched the entire world evolve from having a close group of friends you play with and having a tight close knit community around you to people not even knowing their neighbors’ names. It’s got to be a bit dis-satisfying to see the impersonalization happen to your world and community. Skeptical of technology and while they may use it, they do not typically use it to its full capabilities. Gen X: those born between 1965 and 1979. Still grew up without borders, being able to run free during summer months and study hard while school was in session, the last age of oblivious innocence. Are accepting and skeptical of technology. Gen Y, aka Millennials: those born between 1980 and 1995. Grew up with the expansion of the internet and connectivity. They saw technological evolution from the start and watched it develop over the years. They still remember how to use ‘old school’ technology like fax machines and dot matrix printers. They generally accept technology and use it. Gen Z: anyone born after 1995. These people are growing up without the privilege of anonymity. They believe everything should be instant and are confused by the idea of having to research something. Patience is a hard fought virtue that is hard to understand in a world of instant gratification of just about everything, but hard work! They fully accept technology just as they accept the air around them. Baby Boomers education was better than their parents and being able to do better than your parents was the goal. More people graduated high school and sought post high school education than ever before. Colleges and Universities grew because of it. The learning style however did not. It was respecting your teacher or professor, do not question them, learn, pass, graduate and get a job. There were obviously some who challenged the system, but they were likely shunned and or kicked out of school for radical ideas. Gen X’s education was the beginning of the transformation. More people from this generation challenged the status quo of their very existence in the educational system. Meaning they fought for changes beyond what the previous generations had done. They went from using typewriters to computers and embraced the changes set before them. They were more fiercely independent than their parents before them. Gen Y’s education is the highest among all generational groups. Their worldwide knowledge is greater than any other generation. However, this global knowledge comes global competition. Gen Z’s educational preferences are already showing new trends, as noted in Forbes magazine, this generation is beginning to take college classes and they aren’t interested in sitting through lectures and just memorizing dates and phrases. They want an immersion of their education, something hands on, where they can communicate and contribute to a group and learn via experiencing versus reading and taking tests. Beyond the basic math, science and history, one must learn to progress through the education system, it’s becoming more apparent that more exposure is needed when it comes to technology. Not just using technology but understanding how it works and how to create new technology. Understanding programming or coding is easier the earlier you learn it. If you use any type of technology, you are using a program. The science behind the simple user interface isn’t as complicated at you may think. Understanding that the world is dynamic and being able to constantly adapt is a crucial skill for anyone entering the workforce. The most generic form of people know of and hear about is that programming is a bunch of 0’s and 1’s that create a code to tell computers what to do, but it’s much simpler than trying to read 0010 0110 1100. It is a simple algorithm of logic or yes or no questions and answers. 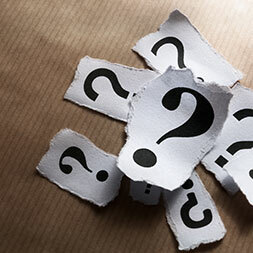 Every program out there starts out with a basic question followed by essentially a yes or true response or a no or false response. Everything in coding builds off of those two very simple things. Understanding logic is key to understand programming. Gen Z is changing and challenging the education system as we know it. They are learning common core math, which is an insane concept if you learned the ‘old school’ way. Yet they are learning better in immersion into an activity vs listening to a lecture. While parents and teachers are canvassing for smaller class sizes, they are also fighting to teach beyond the standardized test requirements. These students grew up with immediate access to information that used to only be available after sifting through books and research papers in libraries, and they know they do not have to memorize everything in order to perform tasks. With the ever changing world around us, understanding how simple programming works is imperative to understanding how to communicate. Pushing to have more technology in classes such as coding available at an early age is crucial helping kids of today succeed. They learn the basics of programing which helps them learn because they can start and customize for their personal learning level. It does not have to reflect their age, but their level of comfort with technology. Gen Z kids are just comfortable with technology, it just happens. They are not afraid of it, they do not think they will break it and because of this, it is a great way to engage them in learning. Kids of yesteryear used to have to go out and find someone to play with, however Gen Z kids can log on and play with friends anywhere in the world. Giving them a larger social network to choose from. They are not locked into playing with whoever lived on the same street as we were. Giving them an opportunity for exposure to different cultures and different countries around the world when they have one thing in common, like an online game. Schools today not only utilize computers, but some even issue computers and or laptops to all students. This ensures that all the students all have the same learning platform, giving students the same technology basis to start from. Having technology like this means they can engage the students more so than just lecturing students on how to do something, they can work in a virtual sandbox where they can actually do the things they are learning about. The greater understanding students have of technology, presumably programming, they understand how to make things work and how things have worked in the past. Teaching in a virtual sandbox allows kids to learn that making mistakes isn’t the end of the world and sometimes it can lead to a bigger learning experience, most adults today still have yet to learn this vital life lesson. Each generation has made an impact on education. The Boomers grew the post high school institutions to the large communities they are today. Gen X began to challenge the ‘system.’ Gen Y experienced the change of instant information and Gen Z is having a greater impact in decisions about ‘how’ they learn. Each generation has been the more educated than the last. We’ve learned that embracing technology and understanding how it works has more than benefits than just learning how to ‘code.’ Each generations ability has enabled the next for growth and progress. Learning how to engage with the virtual world is just as important as learning how to engage with the community around you. The 20th century was the most violent century in the history of humankind. It was also the most innovative century in human history, a fact that still gives our species hope amidst the daunting crises we now face. The 2020s will be a pivotal decade. Fortunately, technologies are coming down the pike that will reshape society for the better. Below, we’ll highlight five tech advances that will make an enormous impact on society. Groundbreaking tech advances expected to take place in the coming years Electrified self-driving vehicles are poised to disrupt both the oil & gas and auto industries. Don’t believe us? Let’s start with the coming EV revolution – according to the International Energy Agency, the global electric vehicle fleet is set to grow from 3.1 million to over 125 million by 2030. This is a conservative estimate – if governments around the world begin to take climate change seriously, 220 million EVs could be roaming roads by 2030. While gasoline-powered ICE cars will still be around in 2030, their numbers will soon start declining, if they haven’t already started doing so. According to a survey conducted by the American Automobile Association, 20% of respondents plan on making an electric vehicle their next purchase. Bloomberg projects electric vehicles will reach price parity with ICE vehicles as soon as 2022. This will displace oil consumption to the point where the world will be pumping two million barrels per day more than it needs. And that’s just the start. Now, let’s talk about autonomous vehicles. As we speak, level 5 (or completely autonomous) concept cars already exist. BMW claims they’ll have a level 5 on the road by 2020, and Tesla production cars may make the jump to level 3 autonomy (car in control, with the driver able to take over in an emergency) soon as next year. This puts the world on track for level 5 autonomous cars by the end of next decade. Unless you want to, there will be no need to own a car – you’ll simply be able to call one and have them drive you wherever you need to go. With increasing numbers of urbanites ditching their rides, the number of cars on the road will stall and then plummet. The vehicles that remain will become increasingly autonomous and electric. Cars are presently responsible for 28% of American greenhouse gas emissions – if this shift occurs, it will help mitigate the ongoing rise in global temperatures. (2) Brain-to-brain communication Passing notes in class is so 20th century. However, smartphones are hard to conceal. Soon, however, your teenagers will be able to transmit thoughts to their crush directly, and nobody will be the wiser. Sound impossible? Thanks to groundbreaking research conducted earlier this decade, a day may soon come when this Star Trek-esque advance will become science fact. A few years ago, researchers from the University of Washington managed to send a simple ‘hello’ from the mind of one research participant through the internet to a colleague’s 8,000 kilometres away. Once honed, this advance will have a wide range of applications. Communication with those silenced by strokes, brain injuries, and birth defects will be possible. Emergency workers will be able to communicate easily in chaotic situations. Couples will be able to discuss a movie without angering fellow theatre patrons. However, serious ethical issues will need to be addressed. Will students be able to cheat on exams without their teacher knowing? Will debating politicians be fed lines by fixers off-stage, Manchurian Candidate-style? Will you able to read the thoughts of others? It will be interesting to see how this technology evolves in the coming decades. (3) Hyperloop trains Hatched from the mind of master inventor Elon Musk in 2012, the Hyperloop is a transport system that promises to change how we move about the world. An airless tube that serves as a conduit for passenger-carrying modules, it is claimed this futuristic mode of transport could eventually hit cruising speeds of over 1,200 kilometres per hour. What does this mean in real-world terms? This would allow someone to travel from San Francisco to Los Angeles in only a half-hour – much faster than driving (5 hours 43 minutes) or flying (1 hour 25 minutes). After a few years of research and development by universities like MIT and the Technical University of Munich, the first real-world prototypes are now under construction. Hyperloop Transportation Technologies is presently constructing test tracks in China and France, with plans to build additional prototypes in the United Arab Emirates and Ukraine. Sir Richard Branson recently unveiled plans to build the UK’s first Hyperloop from London to Edinburgh, while Elon Musk himself is about to open a concept tunnel underneath Los Angeles within the next year. If the Hyperloop manages to live up to the hype, it will massively disrupt short and medium haul flights, to say nothing of car, bus, and legacy train services. Even if it is not powered by fossil-fuel free electricity, this innovation will greatly reduce the carbon intensity of travel. According to analysis conducted by the Department of Transportation in the United States, Hyperloop travel could be up to six times more energy efficient than comparable short haul air routes. (4) Vertical farms As our climate continues to change, agricultural land will come under stress. Drier conditions, flash floods, record heat, and sudden frosts will all wreak havoc on crop yields. In addition to mitigation tactics like desalination and genetic engineering, the construction of vertical farms will be key to feeding our planet as the 21st century progresses. What are vertical farms? They are indoor agricultural facilities where crops can be grown in a climate-controlled environment. Light is provided by arrays of full spectrum LED bulbs, while water comes from hydroponic systems. According to the creator of a vertical farm prototype in Japan, these facilities use 30 to 50 times less water than traditional greenhouses – great news for those about to inherit an H2O-constrained world. It’s important to note that these facilities are still in their infancy. Commercially available LEDs are only 28% efficient at present – however, with lights that boast 68% efficiency currently in development, vertical farm products may approach cost parity with field crops by the end of the next decade. (5) Bioengineered meat It’s getting increasingly uncomfortable to be an omnivore these days. They’ve had to deal with ethical challenges for years, but now, it’s become a well-known fact that meat production is a major carbon emitter. According to a United Nations report, the raising of livestock (poultry included) is responsible for 18% of all CO2 emissions. With drastic action now required to avoid runaway climate change, a rapid shift away from field-raised meat is necessary. Fortunately for the steak lovers among us, researchers have been working for decades to find a way to make meat in the laboratory. The first cultured meat experiments were conducted by NASA in the early 2000s. However, it wasn’t until the early 2010s when serious efforts began to create the world’s first lab-made burger. Delivered in 2013, this patty cost $300,000 to make. By 2017, though, the procedure had become far more cost-effective, bringing the price of a lab-made hamburger down to about $11. At this rate, we can expect to find flavourful, cost-competitive lab meat in grocery store meat coolers by the middle of next decade. When this happens, the demand for meat from factory farms will fall drastically, lowering carbon emissions as omnivores move to a guilt-free source of animal protein. Fasten your seat belts – it’s gonna get wild It took one hundred years for the telephone to become universal. The smartphone went from zero to over 70% penetration in a decade. The rate of technological progress is accelerating exponentially – wherever it leads us, the coming years certainly won’t be boring ones. Time is money in the software business. With globalized competition in every niche, the pressure is on to get a product to market fast, as seizing the first-mover advantage is crucial to success. To save time, most successful companies have their programmers use frameworks rather than having them crank out code from scratch. This makes sense, as this reduces costly mistakes, standardizes work flow, and frees up hours spent on repetitive work. Which frameworks are best for programmers? Frameworks can be applied to any programming language – PHP is no different. 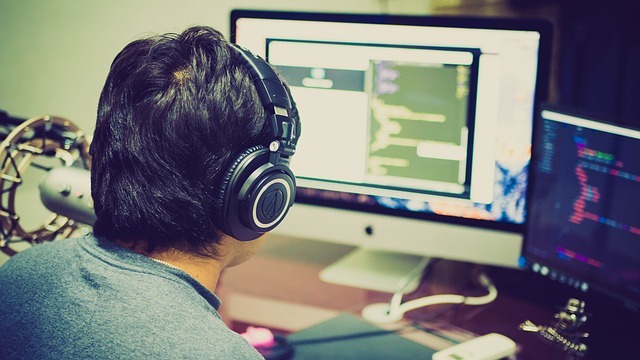 Having one in place when programming in this language can save enormous amounts of time and grief – below, we’ll look at a few that can help radically increase productivity. Laravel is a very popular tool among PHP coders thanks to its well-constructed syntax and easy to understand interface. This helps programmers to cache/queue websites or send an authentication prompt faster than if they had to create the relevant code on their own. Its immense popularity has created a large community around this application. Any coder that runs into a roadblock need only ask a question or search numerous discussion forums to get the answer they need to move forward. Because of these advantages, Laravel has been used to construct the back end of web applications and websites for everything from app developers to major corporations. As such, every PHP coder should have a shortcut to this program on their workstation. Although this interface can be confusing for some, Symfony is a powerful software development tool in the hands of experienced developers. Take Drupal for example, as this popular content management platform had its later versions built with the help of reusable PHP components that are included within this framework. Like Laravel, its widespread utilization means Symfony has a dedicated community of programmers who swear by it. This is good news for neophytes, as there are active communities online that can help overcome the initial confusion caused by processes such as object configuration, routing, and others. Any programmer starting out in web development can get intimidated by what is expected of them in the workplace. Thankfully, CodeIgniter has simplified the process of programming in PHP to the point where most new users will feel confident about their coding within a matter of days. This is possible due to libraries which make mundane tasks like writing SQL queries far simpler than it is by hand. For most basic websites, users of CodeIgniter need only copy and paste the code from these libraries and make modifications where necessary. With numerous plugins like Dataspark – which makes database creation a breeze – it is useful for a wide variety of web development tasks. Because of its user-friendly interface and its flexibility, CodeIgniter also has a large following. This facilitates learning even more, as a simple Google search turns up scores of tutorials created by CodeIgniter enthusiasts. Though less known compared to other PHP frameworks, CakePHP is lauded by programmers for its simplicity. Though it lacks the complexity of Laravel and Symfony, its simplified nature makes it a great framework for beginner coders to learn at the start of their programming career. This doesn’t mean it can’t tackle major projects, though – programmers have used CakePHP to create visually stunning websites for major corporations like Sainsbury Bank in the United Kingdom. However, many experienced coders opt to switch to more flexible, powerful frameworks for more complicated projects after learning this program. Building websites and applications for large enterprises? Programmers in these environments love Zend, as it has features designed to cater to their specific needs. This framework uses object-oriented programming methods, making it easier to manage extraordinarily long strings of code that often found in the back end of enterprise applications. With components that allow coders to encrypt client data, insert forms with ease, and validate programs quickly, Zend is perfect for programmers who need to get their work done quickly and efficiently. Leaving programmers to their own devices is a risky proposition. If they write messy, difficult to understand code, those that come after them may not know where to begin when the time comes to modify it. After running into these issues, many companies have adopted frameworks that their coders must follow. When posting ‘Help Wanted’ ads, HR lists these standards in the requirements they want in a successful applicant. Not all businesses are on the same page, though – some prefer CodeIgniter, while others use Symfony for their programming needs. Having a background in multiple frameworks is essential not just for those hoping to join the workforce, but as a professional. 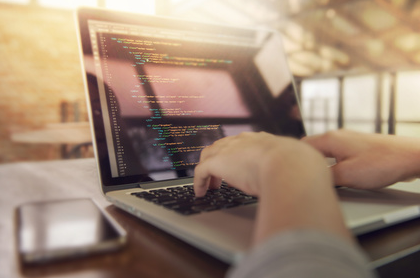 By familiarizing themselves with the most popular frameworks, mid-career coders can maximize their employment options. 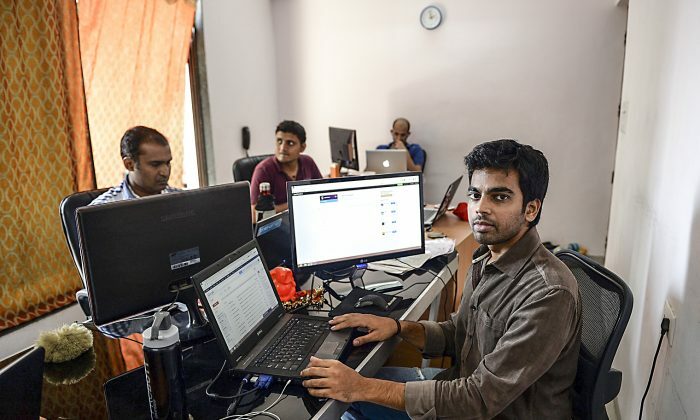 Why are there so many software developers in India? India is the second most populated country in the world and with that many people around there is fierce competition for livelihood. Even with the family structure evolving in India, adults seek the advice of their parents. In Indian society parents want their children to be successful, and being successful to many of them is to either become a doctor or a software engineer. Traditionally the Indian family structure is of multiple generations living together, while modern society is steering away from this structure it is still widely accepted as the norm. Even after children are grown they will still seek the advice and approval of their parents. Seeking approval can lead these young adults into careers they are not interested in just to prove to their parents that they are successful. Since the family structure of Indian families that of multiple generations living under one roof, those who are capable of working are supporting more than themselves. They are supporting the elderly, the sick, the disabled and the children. That is a lot of pressure from your family and extended family to be a good provider. This can also lead young people to pursue an education in software development because it pays better than other jobs available in India. These individuals are saddled with the responsibility of supporting their entire extended family. When companies are working on budgets and they need software developers the cost can be exuberant. Knowing that you can get a software developer from India for a fraction of the cost seems like a no-brainer. While it may be less expensive you might get what you pay for. Statistically Americans are overall more educated than Indians according to United Nations studies. In 2015 India ranked 92nd out of 145 countries in their overall education. While Indians were 11% better at math and logic than Americans, American were over 50% better at software development. 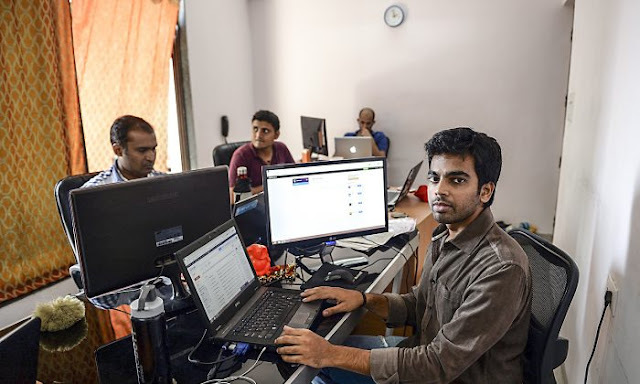 India missed the boat when it came to technological advances for many years and some people believe that these young people need to learn to code at a young age to be successful. India is not highly ranked in any industry, leaving their national infrastructure needing vast improvements. They are pushing people to learn software development, but they are leaving all other industries by the way side. For a country to be strong economically they need to have a wide variety of skills that can be outsourced as a service or products to other nations worldwide. If they continue to force young people into one of two career paths much of their existing economic system will be in dyer need of educated people to innovate and manage it. A common stereotype in the technology industry is that your US based job can easily be outsourced to India and for cheap. This is true, yet not true. Can the job be outsourced, well yes. But is it cheap? It depends on what standard you looking at. Will the software development be done for less money, yes. You may however need to have a highly qualified IT person verify that things are being done right and done well. A lot can be lost in translation even if speaking in ‘code’ is all the same language. The barrier can lead to lost time and misunderstandings and then to software problems. Indians have also made a positive impact on Silicon Valley as well. While there are bad Indian software developers out there, there are also many good ones too! One of the best ways to tell between a good Indian software developer and a bad one is their education. If they attended college in America, they are likely more skilled and qualified at their job, than if they went to school in India. When looking to get a project completed it is always best to know the background on the company or individual you are hiring. If you want your project to be perfect, you will need to pay for the perfect software developer, and they should have an education from America versus India. It is a simple way to verify what skill level you will be hiring without having to hire them and then find out. This is not saying a qualified person with an Indian education cannot do a good job, but it is a simple way to weed out possible poor software developers. If you are on a very tight budget and the work doesn’t have to be perfect, you can definitely save some money by working through developers in India. You might have to rework it a couple times, but you will likely still come under budget. Technically Speaking These Jobs are HOT! Unemployment is low, I mean really low. Across the country there are more jobs than there are people to fill them. While this can fabulous news for employees, it’s not so great of news for employers. 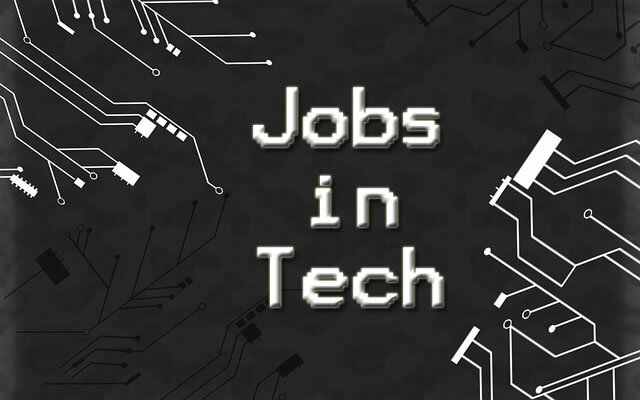 Trying to fill all the open positions is challenging and usually the excess work gets put on current employees or goes undone and one of the fastest growing employment markets is in technology. In the interconnected world through remote work and data share capabilities employees can work from anywhere in the world and fulfill jobs in different states or even countries. Business analytics, data analyst, data scientist whatever the company calls it, it is the same thing. Taking tons of raw data and turning it into useful information for management, investors, and potential investors. Without these numbers being pulled together routinely and systematically companies fly blind through their fiscal year wondering if things they are doing are adding value or detracting it. According to salary.com there are over 267 job titles with the match of analyst. Top Analytical Job titles: Business Analyst, Project Analyst, and Data Analyst. Website developers, Mobile Developers, Software Developers etc if you can code and create something that is useful to a company for its technological presence your talents are in short supply. According to salary.com there are only 19 job titles for types of developers. Top developer job titles are: Web Developer, Software Developer, and Software Engineer. The threat of cyber attack is real and companies are keenly aware of their technological vulnerability. Companies work through many different scenarios to try and prevent threats to their corporate database. Passwords being changed constantly, having rolling pins from a fab for each employee with secure access to information and 24/7/365 surveillance of their intellectual property. Having someone working to protect your business from attack may be vital to keeping your business going and safe. According to salary.com there are over 141 job titles for types of security jobs. Top security jobs are: Data Security Analyst, Information Security Manager, and Security Administrator. CIO, CTO, CSO etc. if the position is in charge of a technology department of some kind they are in high demand, from managers, directors to top officers in the company these individuals taking on the challenge of managing technology teams and ensuring the work is being done well comes with a high price tag for those willing to take on the responsibility. According to salary.com there are over 688 jobs titles for Technology Management positions. Top jobs titles are: Information Technology Director, Chief Technology Officer, and Chief Security Officer. According to salary.com there are only 31 job titles that match help desk. The top job titles for these positions are: Help Desk, Help Desk Support, Support Coordinator and Support Analyst. The companies with these openings are all over the country; there isn’t one area that has full employment for their technology jobs. This being said, employees know that if they want to move on to another job with another organization they likely can. The low unemployment rate can help employees gain certain benefits like working remotely or high wages from their employers. Their employers know that it cost time and money to replace them and if the employee is asking for a concession for their continued employment it is likely the company will try and oblige. Have you ever wanted to or given a virtual high five? Well you might be able to actually give your friend or family member a real one with the new LEIA 3D technology that is still being developed. How cool would that be!? You could physically reach out and touch someone on the other end of a call! This new developing technology can enhance life as we know it for those living far apart from one another, anyone watching shows or playing games, making presentations for work, or simply getting directions to your destination. Holographic technology from LEIA Corp, a spin off from Hewlett-Packard, is working to bring this new exciting experience to you. Allowing you to immerse yourself in 3D without the use of expensive equipment or bulky glasses. LEIA Corp believes that with this technology they will improve daily experiences to a more personal and beautiful experience. LEIA Corp founders of LEIA 3D are on a mission to make life more beautiful and to enrich everyone’s life. LEIA Corp was founded in 2014 by David Fattal, now the CEO, Zhen Peng, now the CTO, and Pierre-Emmanuel Evreux now the CFO. LEIA partnered with Altice Group a technology and media corporation for a launch in Europe in 2016. LEIA 3D uses diffractive lightfield backlighting to enhance an existing LCD screen into 3D. Users will be able to switch seamlessly between the standard viewing and 3D viewing, without the use of glasses. While you won’t yet see a floating hologram above your phone’s screen, it will make the user experience more enhanced and personal with 3D. 3D holograms could be used in cars for enhanced directions, on TV screens for a more interactive viewing of movies and video games. They could also be used in businesses for presentations to engage their audiences. Instead of always saying, “ Now if you can imagine this here…” your business could actually show the clients rather than have them imagine. Android has a smart phone, Hydrogen One by Red which is between $1,00-$1,600 depending on which version is purchased set to release this summer with AT&T and Verizon. LEIA Corp is constantly developing their LEIA 3D, and it is exciting to think of all the possibilities that may come with the development of this new technology! Artificial Intelligence (AI) is currently one of the hottest trends in the world. AI can be found across industries, and in almost everything we use or create that has a tech element. AI is, to put it simply, the simulation of intelligence processes by machines – particularly computer systems. However, this hot technology is constantly evolving, and poses several risks to the world as we know it. What are the risks that come with AI? AI is taking over the tech world, and is being incorporated in many tools, systems, and software we use every day. However, many people are becoming skeptical and imploring that the tech industry takes a closer look at AI and the risks it poses. Elon Musk, founder of SpaceX and Tesla in Silicon Valley, is one of the biggest neigh-sayers when it comes to AI. Musk believes that AI is only a few years away from being able to partially incorporate with our brains – whether that’s through medical devices or personal technology. And that thought is, indeed, terrifying when you think of the potential ramifications. How can AI improve or impact the medical field? Although creators and innovators the world over will need to be cautious as they continue to build AI tools that directly impact the lives of people, AI isn’t all doom-and-gloom. In fact, it is having a significantly positive impact on the medical field. As of now, AI in the medical field is built as an assist to human doctors and nurse practitioners. It allows for a thorough fact-gathering and analysis for more accurate diagnostics. It’s also creating systems that reduce the possibility for human error – ensuring appropriate and safe care is always being given by human doctors and nurse practitioners to patients. AI also opens up the opportunity for cost-efficient medical care. By reducing the total number of human employees that hospitals, doctors, and medical spaces need to pay to do admin work, the medical field is able to refocus their budget toward specialists and incredible medical professionals who are saving lives every day. Finally, AI is helping to create a safer, more precise operating room. With minimally invasive surgeries becoming increasingly necessary as we are increasingly hard on our bodies, surgical robots are able to provide assistance in making precise, small incisions and surgical maneuvers. This can help to reduce patient pain, simplify and speed up medical processes, and help medical teams to complete minimally invasive surgeries quickly and correctly so they can move a patient from surgery to recovery efficiently. This helps doctors and medical teams perform faster, better surgical procedures on every level – which means more patients can be treated in the same time span. How far are we from a point when we have a robo-doctor? Scientists are already working to combine AI with robotics. 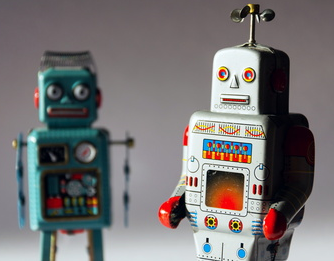 In fact, researchers in Texas have long been working on a robot that has a mind of its own. Although this may seem like some kind of science fiction movie come to life, it’s not surprising. The tech industry’s obsession with AI has sped up many researchers’ quest to incorporate it in new, exciting ways. But how far are we from having robo-doctors? The answer might surprise you. Right now, most robots are built with simple AI. They’re programmed to do nothing more than administrative tasks. However, the fact that some robotic technology has been programmed with AI within the medical space already, opens up the possibility that we’ll be seeing “robo-doctors” in the medical arena sooner than we think. In fact – some healthcare robots in 2017 were built with artificial intelligence that allowed them to perform domestic nurse functions like reminding you to take medication, or coaching patients through challenges associated with illness. So – we may be looking at robo-doctors taking over smaller medical tasks or working alongside human doctors sometime in the near future. Will machines truly take over? It’s impossible to look into the future and know what’s going to happen. However, most people believe that because machines won’t always “get it right” and because of obvious ethical concerns, people will need to stay connected to most processes – particularly in the medical field. However, we can expect to see AI being incorporated into our systems – including medical services – in new and exciting ways.